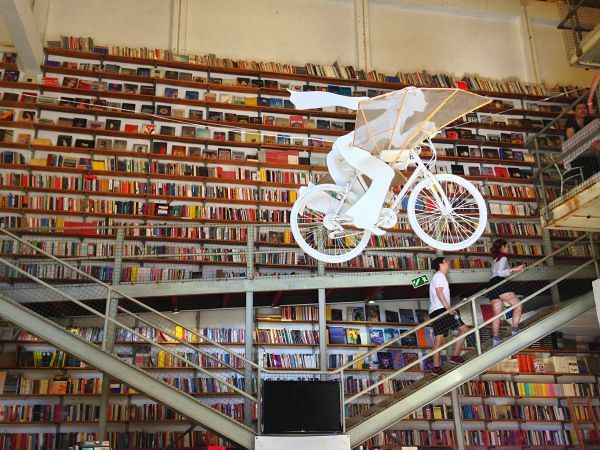 Portugal is well known to traveling bibliophiles for its extraordinary bookstores and libraries. 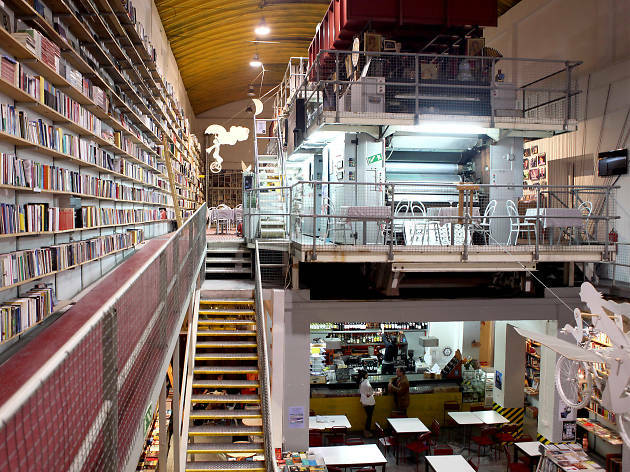 One of Lisbon’s most popular book browsing destinations is the popular Livaria Ler Devagar in the Barrio de Alcantara district. Set in a 19th century newspaper printing factory, the bookshop shares space with two cafes, galleries, and performance spaces. 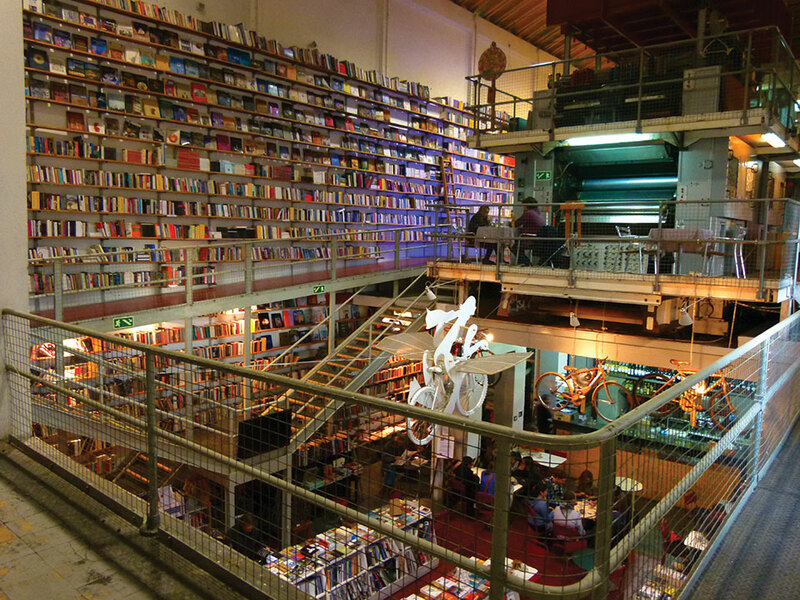 Packed floor to ceiling with thousands of books, the shop, whose name means “read slowly, is the cornerstone for a growing creative neighborhood. It’s open daily, but go on Sunday for the local street market. 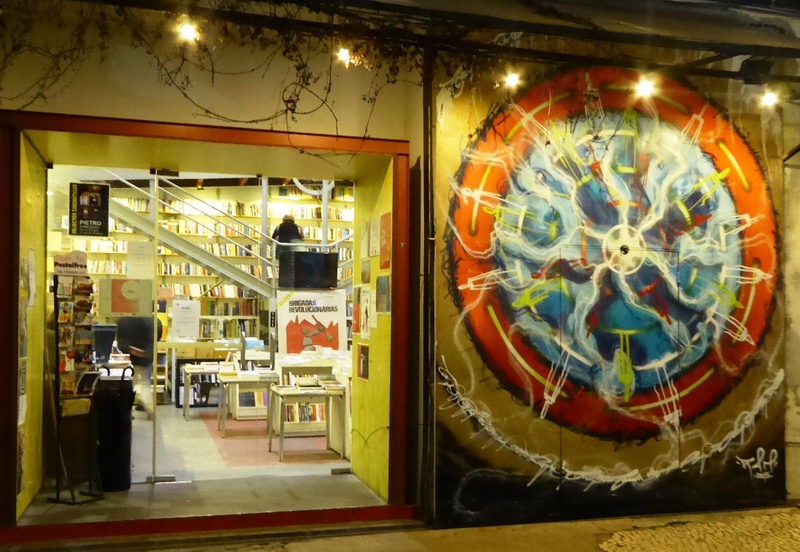 This entry was posted in Books, Bookstore Tourism, Europe and tagged Lisbon, Portugal. Bookmark the permalink.